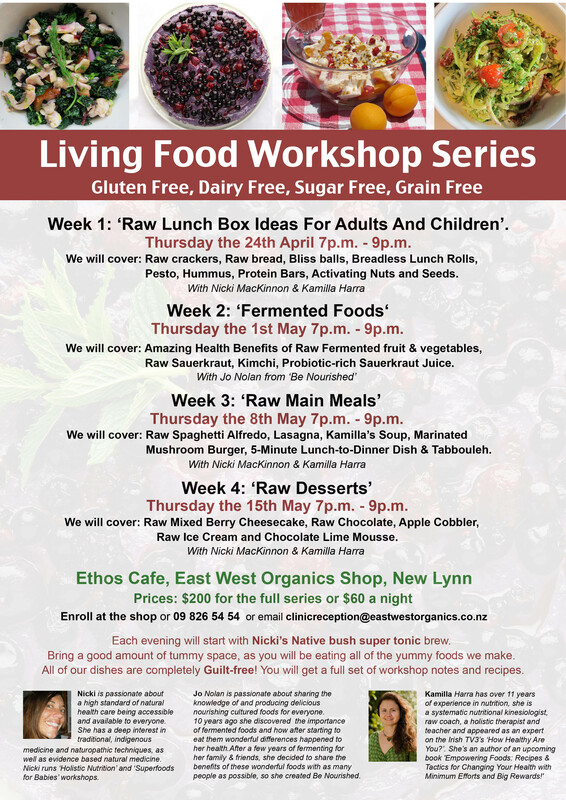 This is a course on delicious raw snacks, guilt-free sweet snacks, raw bread & crackers, which is a part of the series of 4 main workshops presented by East-West Organics every Thursday evening from the 24th April until 15th May. You can take it separately or as part of the whole series. When: 24th April 7 p.m. – 9 p.m.
To Enroll: Ring 09 826 5454 or email clinicreception@eastwestorganics.co.nz or at a counter in either of the East West Organic Shops.